PUERTO VALLARTA, Mexico - The disappearances of a British Columbia man and a U.S. man in the Mexican resort city of Puerto Vallarta has their families frantically searching for information in what they believe could be a kidnapping. 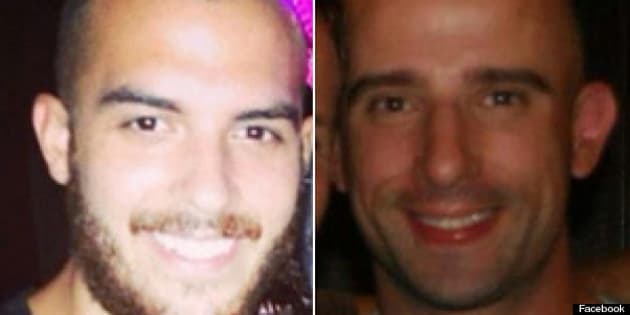 Diego Hernandez, a 22-year-old Canadian martial arts instructor, and his friend and business partner Craig Silva vanished on May 8, just days after Hernandez put together a mixed martial arts sporting event in the city. The pair was last seen in Silva's truck, a black 2003 Chevy Trailblazer, which has since been recovered by Mexican authorities. Reached in Puerto Vallarta, Hernandez's mother, Melissa Canez, said her son and Silva had been planning to withdraw money from Silva's account to pay for some of the event's expenses. Soon after they obtained the money, they dropped off Silva's girlfriend at a local university and intended to pick her up after class, she said. Canez said she suspected the two men were kidnapped when she was told the next day that they did not return to pick up Silva's girlfriend. "They're both martial arts instructors, they're disciplined individuals," she told The Canadian Press in a phone interview on Monday. "As soon as she said they hadn't come back and they didn't answer their phones, for me, I knew somebody had my son against his will because he would not do that. He wouldn't just take off." The online newspaper Noticias PV says Puerto Vallarta's director of public safety, Silvestre Chavez, didn't learn of the men's disappearance until five days later and has launched an investigation. Canez said her son's girlfriend filed a missing persons report within 48 hours. Hernandez's girlfriend also received a call from someone who claimed he saw the two men being arrested by municipal police on the same day they went missing, Canez said. "Of course that changed everything because then it's like, what are you talking about?" she said. Since the missing reports have been filed, the local authorities and the Canadian consular have been of little help, Canez said. She said she has seen surveillance footage of an unknown man withdrawing money at a bank using Silva's card. There is also apparently another surveillance video that shows Hernandez withdrawing cash at an ATM while being flanked by two masked people, she said. One of the men's bank card was also used at a convenience store, she added. Hernandez lived in Coquitlam, B.C. before moving to Puerto Vallarta two years ago. The mixed martial arts event that he put on earlier this month was in collaboration with another business partner who was mostly in charge of the finances. According to Canez, Hernandez was approached a few days before the event by somebody who wanted a percentage of the earnings. Her son refused, Canez said. "I was terrified," she said. "I said to him, 'You can't say no to those people...I think you should leave, like get on the plane right now.'" Canez said the event was extravagant and televised, and Hernandez and his business partner were having trouble paying some of the expenses. As a result, Silva, whom Hernandez has known for over a year, became a partner as well and offered to put up what Canez said was a substantial amount of money to cover the outstanding expenses. All of those events have led Canez to suspect that someone close to Hernandez and Silva has something to do with their disappearance. "I think that somebody tipped these people off that Diego and Craig were going to have a substantial amount of cash on them that day, I think they were followed," she said. "They know Diego doesn't have money, and his family doesn't have money...but in Craig's case, those people who were close knew that he had some financial backing because how could he just come up with that money to invest overnight and become part of this whole thing?" Canez said she hasn't received any ransom calls, but she is not sure whether the same can be said of Silva's family. She said she has been in touch with them, but they prefer to keep their distance. "We want Diego and Craig home alive and we are not looking for anyone to be brought to justice, nor will we do any further investigating," Canez said. "We just want them to be given back to us safe and sound." Puerto Vallarta police said no information would be given on the case at this time. Meanwhile, a spokesperson from Foreign Affairs and International Trade Canada confirmed that consular officials are providing services to the family of a Canadian citizen reported missing in Mexico, and that they are in contact with local authorities. A Facebook group has been set up to collect tips about the men's whereabouts. Word of the case has also spread through social media, with many sharing photos of the men on Twitter. — by Vivian Luk in Vancouver.